The Cape Whale Coast Hope Spot stretches 200kms from Rooi Els to Quoin Point and is recognized for its incredibly vibrant and visible whale visits. It’s unique in its combination of rich and abundant biodiversity, spectacular scenery and cultural heritage. Much of the area is already protected: Kogelberg Biosphere Reserve (the heart of the Cape Floristic Kingdom), the Stony Point Penguin Colony at Betty’s Bay (one of only two mainland penguin colonies in South Africa), the Betty’s Bay Marine Protected Area, the Bot/Kleinmond and Klein river estuaries, the Walker Bay Whale Sanctuary Marine Protected Area, the Dyer Island Nature Reserve complex, as well as a network of conservation stewardship sites. It’s home to the marine Big 5: whales, dolphins, sharks, seals and African penguins. African penguin (Spheniscus demersus) has a donkey-like bray, which is why it’s also known as the jackass penguin. It’s endangered and is found in only a few areas along South Africa’s coast: Betty’s Bay (part of the Cape Whale Hope Spot), Simon’s Town (part of the False Bay Hope Spot), Algoa Bay (part of the Algoa Bay Hope Spot). Southern right whales (Eubalaena australis) is a baleen whale and it’s massive – it can weigh up to 80 tonnes and is distinguishable by many things: a massive head that is almost a third of its body, a long mouth that begins above the eye, many callosities on its head, no dorsal fin, a broad almost triangular tail. Did you know they’re susceptible to sunburn? For this reason, they shy away from exposure on bright, sunny days. Great white shark (Carcharodon carcharias) can reach up to six metres – the female is bigger than the male. Although many studies are ongoing, there is still some mystery surrounding facts about this impressive creature – it’s thought they grow as old as 70 years, that the males take over 20 years to reach sexual maturity, while the females take over 30. This low reproduction rate is what makes them more rare. They are listed as vulnerable. Shark-cage diving is a huge attraction in the area, and there are seven operators in the area. Try Marine Dynamics (sharkwatchsa.com) or call Gansbaai Tourism on 028-384-1439. Seeing whales from a bird’s eye view allows you to get a sense of their full environmental context and is a remarkable experience. There are two operators in the area. African Wins departs from Stanford airstrip and takes one to three people. Africanwings.co.za Overberg Aviation flies from Heidehof Airstrip or Grootbos, and can take up to five people. Overbergaviation.com Both offer trips from 30 minutes. Beach in the centre of Hermanus has a small sandy patch that goes down to a stunning snorkeling area that is very biodiverse. 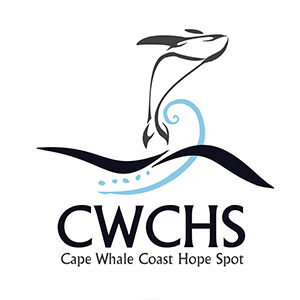 For more information, follow Cape Whale Coast Hope Spot on Facebook (there’s a lot to do in this area, and the group is pretty good at responding to queries) and visit hermanustourism.info.